The same is the case with many top telecom billing systems that portray themselves as the savior of your business, but in the fine print under their long advertisement page, they sell you things that you don’t need. For a long time, telecom providers have been swayed away by the promises of better and advanced billing systems. 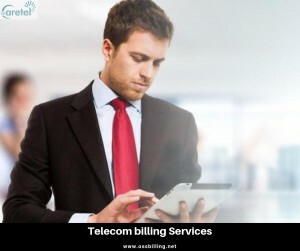 Packaged with latest features and technologies, these solutions for telecom billing services appear to be a good investment. Words like ‘scalable’, ‘revolutionary’ and ‘cost-effective’ are used to paint a picture of perfection. It is not that these solutions do not always deliver on the promises they make. Mostly, they do. But, they do not always tell you the whole story, especially, when it comes to what you require and what you don’t. Management of Failed Transactions – Nowadays, most transactions are made online via credit/debit card or online banking. The failure of transaction and deduction of money from the account is probably the biggest turn-off for any customer. If the top telecom billing systems you employ do not manage failed transactions well, then your money spent on them is money wasted. Automatic Invoicing – Customers want to complete transparency with regards to their usage and charges. Creating invoices via legacy telecom billing services can be a painstaking task that can divert your focus from other important processes. This is why; you should procure a software solution that allows for automatic invoicing. If you buy a software solution without this feature, you will curse your purchase later. Security – In this age of innovation, innovative hackers are found everywhere in the world. Everything that is available online is susceptible to hacking. As most top telecom billing systems store users’ data on the cloud, it is essential that security of information is up to the mark. Never ever invest in a telecom billing system that takes security lightly. How to Make an Intelligent Investment? Suppose you exclusively provide prepaid service. The software solution that you are thinking about buying is good at prepaid billing. However, it is excellent at postpaid billing, which is the main reason why its price is so high. Generally, the marketers of this product will not reveal the real reason for such a high price. They will just give you a general idea that the product is good at everything it does. So, you should always dig down deep and discover the real value of a product in your operations before buying it. This entry was posted in Telecom Billing Services, Telecom Billing System and tagged bss system, oss solutions, Telecom Billing Services, Telecom Billing Systems services, telecom oss solutions, top telecom billing systems by admin. Bookmark the permalink.